I bought a Fitbit Charge HR for myself this weekend! In a professional development course I’m taking this summer they asked us what we need to work on in our lives. One thing that I said is that I need to find more balance in the work/health arena. When you live in an environment where people are regularly robbed while walking on the street it can make you a little hesitant to go walking to the gym. I got the Fitbit to motivate myself to exercise enough every day even if I don’t make it to the gym! Setup MobileTrack: in case you forget your Fitbit so you can use it in case you forget your Fitbit after you get out of the shower. This is important for those of us who wake up at 5AM and are still a little fuzzy before we have our full coffee allotment for the day. To enable MobileTrack, open the Fitbit app, navigate to the Account tab, tap Set Up a Device and select MobileTrack. Save battery life (and phone data) by turning off All Day Sync. Fitbits are most useful when they are charged and working so save battery life by turning off the All Day Sync and just sync it manually whenever you want to. Rearrange the Dashboard so that you only see the data that you are interested in. Get a Fitbit Finder app like this one in case it falls off your wrist somewhere or your child decides to hide it from you. Improve the Accuracy by making sure your Fitbit knows which wrist it’s on and measuring your stride. I think the easiest way to measure your stride is to measure off a certain distance (like 20 feet or so) and then count the number of steps you took in that distance. Your running stride is different too, so maybe you could count the number of times your foot hits the ground as you go one lap around a track. Fitbit’s MobileRun mode uses GPS data to more accurately track your walks and runs and also lets you control your music playlists from inside the app. I think this is a great way to help motivate you to get in your 10,000 steps for the day! Connect to MyFitnessPal so that when you tag exercise it helps with your calorie tracking and provides you with more accurate data. Understand Heart Rate: if you got the Fitbit Charge HR like I did then make sure you aren’t wearing the band too loose or too tightly and then make sure you understand heart rate. ‘Cardio’ is the best zone for increasing cardiovascular fitness, and is the target zone for most workouts. Here is an article about heart rate training. 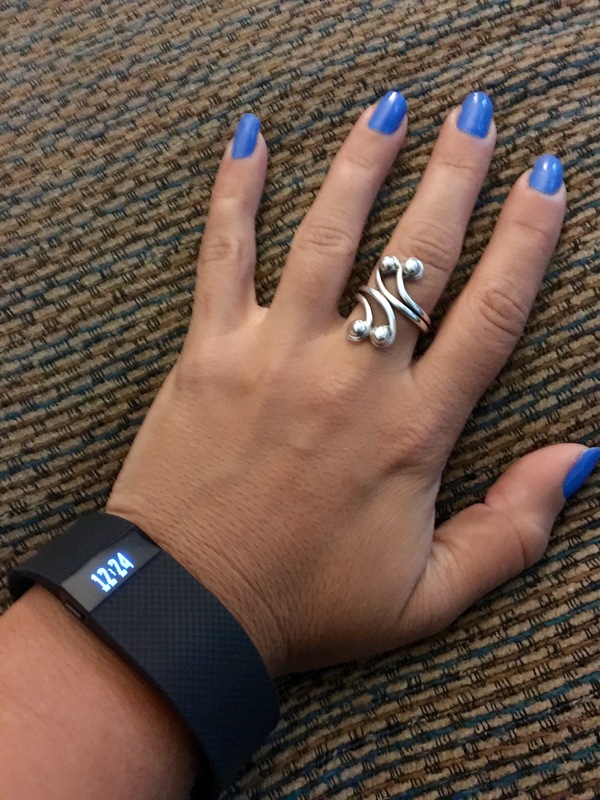 Connect with Friends: I know that I like a challenge and I appreciate competition, especially amongst friends, so I made sure to connect my Fitbit to Facebook. There is also an app Stridekick that helps you connect with other friends who don’t use Fitbit. This is a good way to encourage each other to meet challenges and keep working toward goals. Learn how to more easily access all the other cool Fitbit tricks by reading this article. This post contains affiliate links. If you purchase a product through an affiliate link, your cost will be the same but I might receive a few pennies. Your support is greatly appreciated!